Been an eventful couple of weekends race wise, I was really happy with how I was coming along, and had a couple of events I was keen to test myself on. In time order then, the first thing after my 4th place at palace the other week was the annual Redhill CC road race, 82 miles of mostly quick road with a small rise each lap. The previous year was eventful for the wrong reasons sadly, firstly I got a puncture at the 30 mile point and couldn’t get back on as the weather was so bad the neutral car couldn’t pace me back quick enough through the corners! And secondly because some pratt scattered drawing pins all over the finish area which ended a lot riders day and could have been really dangerous. Anyway, this year promised to hopefully be a good edition, a stronger field to be fair, full showing from Pedal Heaven, Trek Richardsons, and a smattering from other teams like Catford, (us, we had 3 riders! and a few other individuals who were ones to watch, Tom Bayliss from One Pro being a good example of that. We had myself, Dom (former Redhill club member) and Cameron who had been racing down under and was looking in good shape. The idea was generally to make sure that if something was well represented by the big teams, it would be worth following. As is common in these races, 10 riders went up the road from the gun, but it wasn’t that well represented by PH, and it was an 85 mile race, so I was happy to let the race go on for a bit before making any choices. It didn’t take long before the usual suspects got a bit restless and around 20 miles in I followed Rob Moore and a Trek rider up the climb ( I really hammered it up there, the fastest anyone has done it apparently!) to go over the top as a 3 up, sadly this didn’t come to much for one reason or another. I was a bit worried about burning too many matches early doors so sat in and only followed things that looked worth doing so for the next lap or two. At around the 35 mile point again another move went which looked good, before coming back, this time I thought it would be worth a dig as though maybe I’m not quite as unknown as before owing to my TT times, I still don’t get chased down like a PH or One Pro rider would be, so I nailed it off the front, and started regretting it straight away as it hurt haha! However, I kept at it and soon enough I was joined by a familiar face in Rob from PH, to be honest, there are not many better people to join a move than Rob, he’s stupidly strong, and offers decent draft, I waved him through after a bit and he drilled it. I think I gave him a couple of turns over the next 5-6 minutes as he was going so hard. It didn’t take long before we were well out of sight and there were specs up the road,which were the remnants of the early doors break, at first we caught a chap from Danny Shane (Phillip Peters I think) and Rob McCarthy of PH, we then were joined not too much later afterwards by a few more from PH, Mitch Webber, Chris Mac and Lewis Atkins, how they all got away I don’t know, but it was a welcome sight as I knew it would bode well for the chances of this break having them all involved. We shortly after got a Trek rider and another from Nuun (perhaps?) and were around 8 strong, but not everyone was coming through, some people were totally frazzled and I was conscious that though I felt good, there was still 35-40 miles remaining of this race. I did a bit of work but it was so disjointed that we never really got a through and off going for more than a few minutes. With one lap to go things got really dicey, and George Wood looked like he wanted to make something happen, he actually got away with Dom from Paceline for a bit and Dom later said he thought George was struggling as he would come through then drop off and generally wasn’t that smooth, George then went on his own, we didn’t see him again, crazy strong ride from the dude, he is showing his talent for sure, his Prem Cal results obviously making these races a walk in the park for him. Into the last lap I was quite keen on my position and the finish suited me, as ever with 1km to go the pace went mental and people were everywhere, I really don’t like it when its like that but I was still keen to get a result given the hard day out, I was in a fairly decent position when two riders crashed in front of me sending on of the Trek boys into the ditch (to smash his bike to bits, he was ok though), then I was well back, I sprinted through and still thought I could salvage something, and crossed the line for 12th. Not the result I feel like I could have got, but not bad considering. My legs felt really good and they still had a bit of zipp towards the end of the race which was great, the NP for the race at 345W was higher than any I’ve done, which is more evidence to me that I am stronger this year than I’ve ever been. Next up perhaps foolishly was less than 15 hours after this race, and it was the first of 2 Richmond Park TT’s this year, I’d won the last 4 in a row, so was keen to try and continue with that trend. I knew the field was of similar quality to last year and though I thought I would still likely be the one to beat, its never a given, and with a really tough RR in my legs it would change everything as I’d always previously done this event on fresher legs. I was last man off which for this event means 7am, I knew it takes about 16 mins from my front door to the startline as I ride it most days on the way to work, so I set the alarm for 5.25am and was on the turbo by 5.45 warming up, I was off the turbo by 6.15, got some last bits together and set off for the park, got there too early still but I hate not allowing room for error… As I came in I saw 3 Paceline roadies in a row all going well, it was set to be a good event! I got down to the start and in my haste realised I’d not reset my Garmin so instead of having all the info I usually do, speed, NP, AP etc etc, I only had the lap field which had nothing on speed, just watts and time…! Panick set in, but soon I didn’t care, I actually caught my minute man after about 3 minutes, which gave me a mental boost (sorry Craig if you read this), the hill was slow as predicted as headwind, but I got up there and back down into position, I then passed a few more riders, and clocked Stu Spies who I thought would be my main competition, I passed him and noted the gap between when he went by that tree and when I did, he was my 2 minute man, and from that fag packet calculation at the half way point there was nothing in it…Stu was going well! I got up to the long downhill where the wind would push me along, and I flew down there, over 40mph at nearly all times, it felt odd to be going down there so fast, I got to the penultimate turn and I thought a quick time would be on the cards so proceeded to push my achey legs as hard as they would go, and then drilled it up the final climb. I pressed lap at 22.49 but possibly started it 1 or 2 secs late, I knew it wasn’t enough to take the course record from Hutch (22.38) but I though I would be close, I’d managed to do 368W despite the legs, so I was pleased, looked like I would be between 25-30 secs faster than before that again proved to me I’d make big aero improvements to add to a small increase in power. 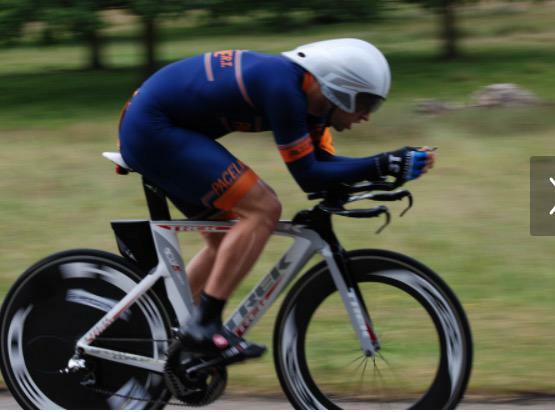 I got given an official 22.58 which I think is probably a few secs out, but it was enough to win from London Phoenix rider Gunther Zechmanng who was around 15 seconds back, really strong ride, and then Stu Spies in 3rd around a further 20 secs back. 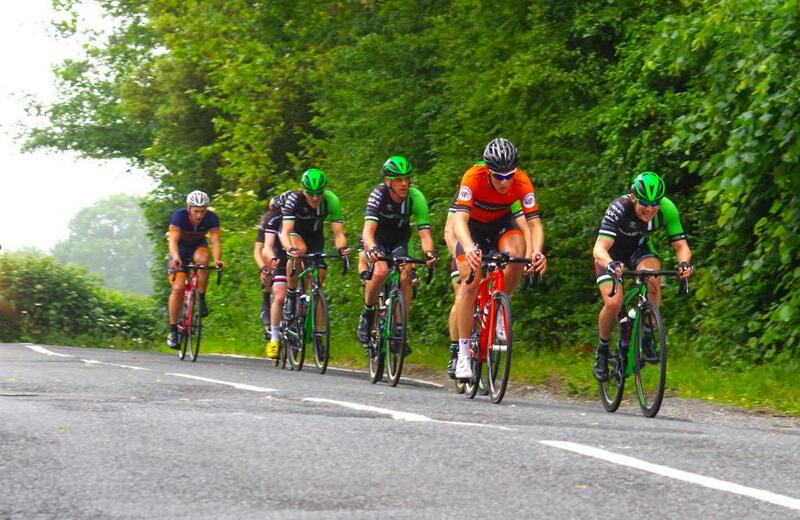 Lastly just a couple of days back I did another Crystal Palace crit, Xav had said not to expect too much from my legs after a hard weekend, but I was still keen to have a go, not least because I knew Rob Moore wasn’t riding and thought I might be able to get a look in. Xav was proved right as I found it quite a bit harder than previous weeks and the numbers were down, but I felt OK. A few moves came and went and I put in a big effort at one point to get over to a move that was then brought back. Lots of attacks and as usual Dulwich and Dynamo had numbers, and Kendal Noctor was looking lively as were the usual culprits from VCL in Ethan Hayter and Fred Wright. My plan for this race was to attack around 20 mins from the end and try and go alone, got to that point in the race and my legs said no haha. So with one lap to go I noted two riders in Paul Sewell and later Ben Knapp go for a last ditch attack, they got the gap and it looked promising. Knowing I was pretty pants at sprinting from slow speeds (hair pin corner just before the line) I thought my best bet would be to attack around 45 secs from the finish, so out out of the bottom corner I gave it a big effort “up up up” is all you hear when you do that as everyone tried to jump on. I got it a bit wrong as no sooner had I got up to 30mph or so I had to go wide to get round Ben who was still out front, but instead of going round I sat on his wheel for a short rest before the final corner, looking at the photo’s I think that kick had created enough of a split in the bunch and I think it was just me, the two VCL boys and Tom Hargreaves of Dynamo, we we dived into the last corner I thought my only chance to beat Ethan was to go first, so I drilled it out of the corner, all was well, I then needed another gear, as I changed down Ethan came by me at comical speed, some kick that boy has, and on the other side Fred just pipped me to 2nd! So I had to settle for 3rd, my best result but still a bit annoying, it was the closest I had come but was beaten on the day. I’ve done a few events since my last update, I’m wary to talk about them all every time as it would make for pretty dull reading, and would mean I was writing a hell of a lot given the midweek racing over the summer! So starting from the top, the weekend following my PB on the Bentley course I had a real early start for the Bec CC 10. Bit of a rush of blood to the head on my part entering this one as it was first man off at 6am, and 40 min drive away, but there was a massive lack of anything else on that weekend so I entered, thinking that at least I might be able to do another 19 if I rode well! The course has loads of rbts, I think 12 in the 10 miles, I’d not ridden it before so was pretty nervous about missing a turn given my previous form for such mistakes. For a fairly small field of 70 riders or so it had some quick guys, most of the Yates family were there, Jesse and Connall both quick riders, then Pete Tadros, and also John Dewey, I feel like I write these names down every week, but in my area there is a core set of guys that race most events, so its good to see how you’re going vs them. Next up was another 10 miler on the old club ten course, not that interesting to be honest, it was a really small field of around 60 people and many of them women as part of the womans series. I did a good ride but couldn’t quite get under 20 and clocked a win in 20.15, some way down on my pb of 19.49 but best power I’ve done in a 10 ever at around 385W. Then it was a welcome return to the most mental midweek racing in London, outside of the Tour Series of course, Crystal Palace crits! I’ve missed the first few and was favouring Hillingdon, but I hated the ride to Hillingdon so much that I have signed up for the next few CP events instead, plus they’re harder which means its not as controlled as Hillingdon has been at times. As usual it was a field of around 40 guys, E12 only, a smattering of 1/E riders this week inc Rob Moore who had won the week previously with a trademark smashing of the field riding off the front solo, others like Rhys Howells of Trek who remarked on twitter prior that it was a bit of a bogey course for him due to being a bigger guy, I can understand that, sprinting out of corners every 20 secs hurts when you’re a bigger rider. And the other person to watch likely was Tom Hargreaves of Dynamo who has been winning most things he’s entered of late, including the support race at the Nocturne, so he was clearly going well, and I think is now also 1st cat, then others from Dulwich and Dynamo, VCL etc that are always up there and can make moves stick etc. We got off to a quick start and straight away I could tell it felt easier than it did last year where I was really struggling at all times, not sure why really as I’m not a lot fitter this year, but I think the new bike is helping as the other one was a bit flexy and it was the main reason I changed it. A few moves looked good and I made sure to follow Rob and Rhys if they went, then in a moment of foolishness I saw a move go from a few wheels back, too far back really, it had Rob, Ethan and Tom in it. Arguably 3 of the strongest in the race, I was kicking myself. I let it establish a bit for a lap and then on the finish straight the next lap I went hard to try and get over, I chased for about 4 minutes and got within probably a handful of seconds, but it was too much, I couldn’t do it, I drifted back and almost straight out the back of the front group! Not quite though, got it back together and with about 30 mins racing remaining and it clear that the front 3 were not coming back (probably!) I made sure to recover, with maybe 15 mins left to race Rhys attacked hard, I went with but the group wasn’t about to let anyone away just yet. Then shortly after Stu Spies from Dynamo went, I followed and the bunch didn’t chase, we pretty quickly got a decent gap and were well ahead, we had 5 laps left which was about 10 mins or so racing, we were sharing the work well and going pretty hard, it was dog slow along the finish straight as a two up though! I could see ahead with a lap to go that Rob and Ethan were now not far ahead and Tom had slipped away, Rob clocked us in the rear view and jumped into action, we were already on the limit and couldn’t close the gap down much more, with half a lap to go it was clear that we were not being brought back, I led into the last corner knowing I probably had a better sprint than Stu, I gave it a big dig and got clear to take 4th. 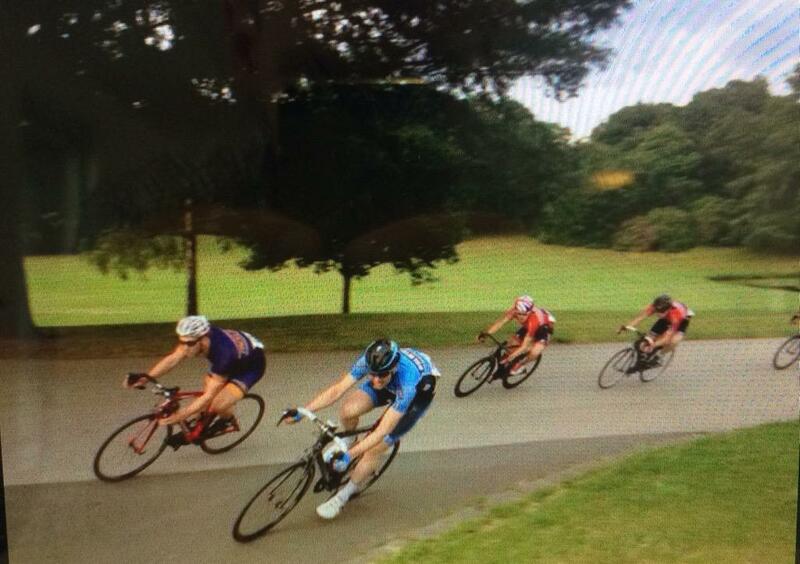 My best result at palace, but still annoyed not to make that front move as I know I’ve got the legs for it. Turned out Rob didn’t want to drag Ethan to the finish so when Tom attacked he did nothing and they both basically rode a lap at walking pace meaning Tom got a huge gap and they nearly got caught by us. 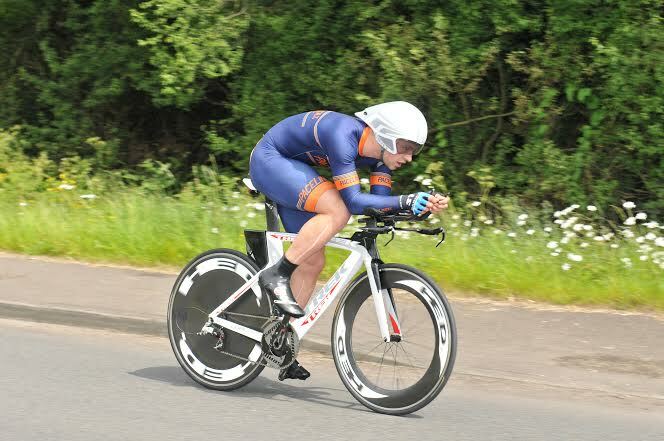 Next up was another TT, my first 25 of the year in fact, it was on a course I’d done this time last year down on the A3 by Liss, its an early start as its obviously a fairly busy road!! However, that makes it a fairly quick course. Not known as one of the super fast ones, but with a course record of 49.05 from Kevin Tye it wasn’t ‘slow’. I’d won the same event the year prior with 51.10 and a fairly early start. A clubmate at the time who was last man off had said that the extra hour was worth a fair bit with more traffic on the course, and again, this time round I was last man off! There was a fairly strong field but my main concern wasn’t actually about winning, it was about trying to get that course record, the temp was good, the wind was low, and my legs felt great. I’d also just got back from the newport velodrome on the Friday with Xav for one of his Aerocoach sessions and we thought we had found some free speed, I was hoping that the 10W extra I had been doing in tens would translate for a 25. I had a plan, about 355-360 on the way out and then 365-370 on the 2nd half. That would give me around a 360 average which is around 10w higher than what I did last year and would be in line with my 10 performance and hopefully mean I would go fast but not blow up! I got warmed up and to my dismay it began to rain, I HATE riding in the rain, I actually generally don’t ride in the rain. But it was only light drizzle and I knew if I could safely get down the first bit of the course which is a downhill, then the main road would be fine as its warmer and there aren’t many technical corners to worry about. Anyway, it was time to go, I felt good, I got down to the first turn at around 6 miles with an average over 30 mph, I basically needed 30.6 mph or more to break the course record…I felt good, my avg speed never dropped below 30 mph the entire time, and at the last turn with 8 faster miles to do I was around 30.3 but pulling it up. I had paced it pretty well and into the last rbt which was now downhill and with about 2.5 miles remaining I nailed myself as hard as I could, I saw 30.6 and then 30.7 and the finish was in sight, still travelling nearly 40 mph I knew I had done it, the next question was by how much! I could see the clock ticking and as I reached the line and stopped the garmin I had 48.44 which translated into 48.43 back in the HQ. I wandered into the hall and indeed it was the only sub 50 on the board, the next best time was that of Simon McNamara who actually had the same start time I had last year and did the exact time I did last year too! 51.10. I think that is the biggest winning margin I have had in a 25, I was really pleased.